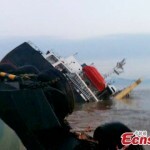 The 97 meter long, 7424 dwt freighter Yuan Tong sank off Zhoushan, China. 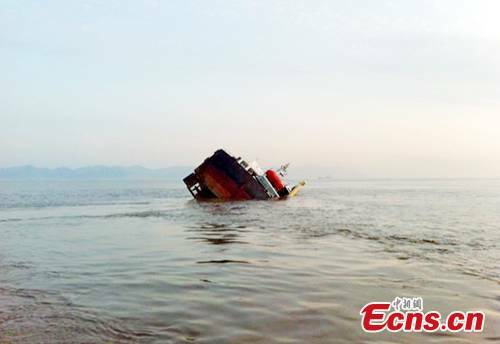 The freighter had left from the Longshan Shipyard with 40 crew on board en route to another berth when the vessel quickly foundered going down by the bow. 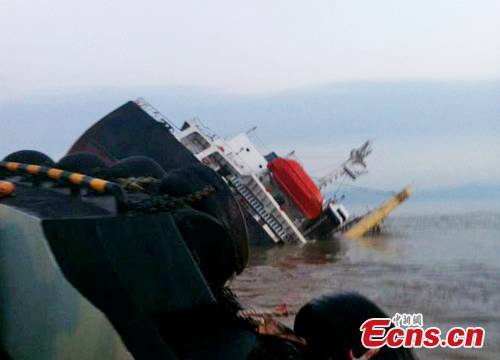 Rescuers from eight ships were able to save 32 crewmen. Seven men remain listed as missing and one man confirmed drowned. A small oil slick is visible where the freighter sank. 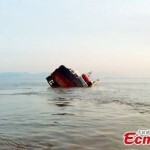 The cause of the sinking is not known, but authorities are conducting an investigation into the incident.